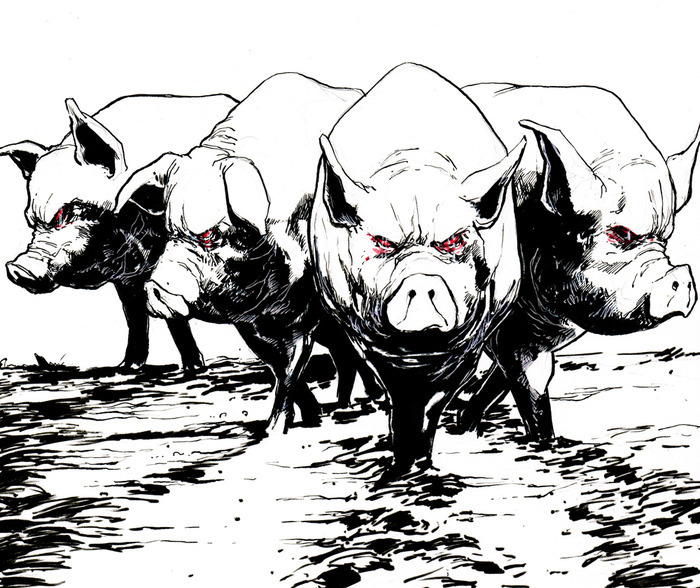 These swines have created a ham fine comic – and that’s no porky! I certainly hope to appear on the bacon the first issue! An unconvincing attempt at sty-fy! There’s snout wrong with this mighty swine tale! A right turnip for the comic book scene with a rasher of great writing and art that was the perfect oinkment for my poor scratchings! A ham-fisted, pig’s ear of a comic.